MS Polymer technology. Will bond most surfaces, even if both are impervious. Will bond damp surfaces and may even be used under water. Can be over painted. Sticks Like 290ml White is rated 4.7 out of 5 by 47. Rated 5 out of 5 by Tez179 from Great stuff We have just done the bathroom and this really dose what it says on the Tin!! Rated 1 out of 5 by Engineer John from Doesn't Skick like anything! Dreadful stuff - wouldn't stick two flat sheets of thin plastic together because it never went off! The only thing I could get it to stick was a very thin safety notice to a plasterboard wall. Not sure if it needs a surface that will absorb moisture from the glue but the ad says you can use under water?! 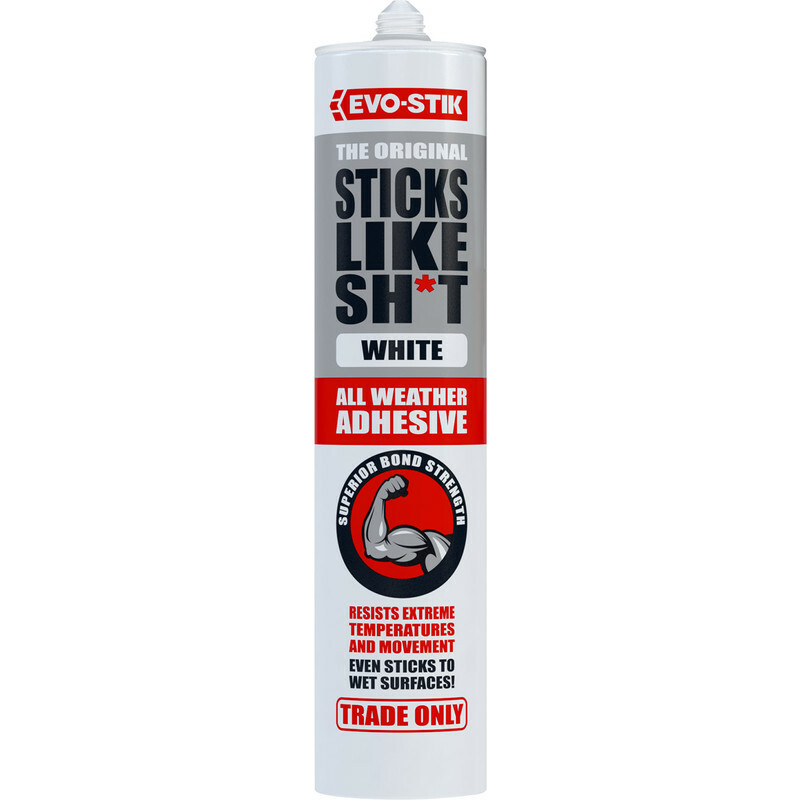 Rated 5 out of 5 by 9till5 from A really great product A very versatile all weather adhesive that I wish had been around 20 years ago. Rated 5 out of 5 by ronvick from A perfect adhesive This is a first class product - easy to apply and rock solid adhesive effect. Recommended! Rated 5 out of 5 by JOHN12 from Great adhesive The best adhesive in a tube, even sticks in the wet. Rated 5 out of 5 by Gaffa from Sticks Like Used the clear for a while now, and found it very useful for a variety of tasks.